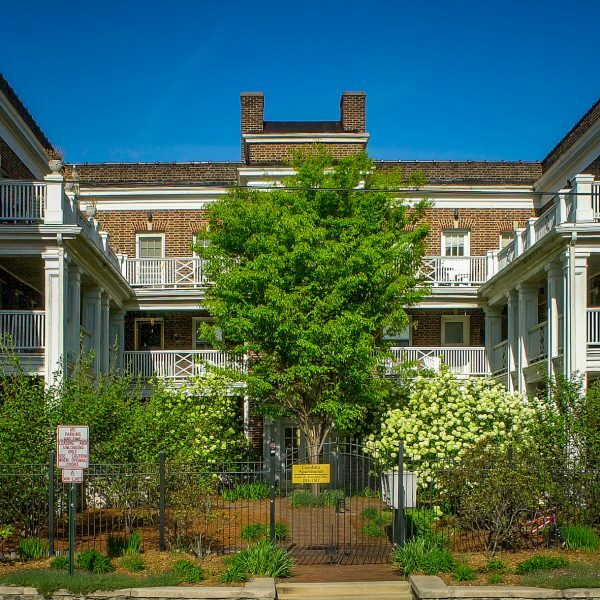 27 residential units enclose a landscaped courtyard. 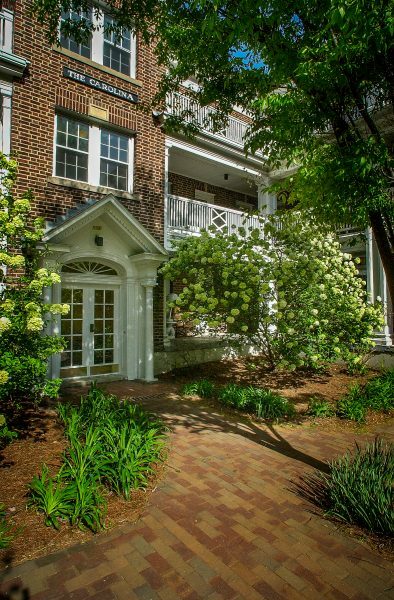 Units feature hardwood floors, dishwashers, secured entry and AC. Many units have private outdoor space on terrace or balcony. Laundry rooms and bike storage in basement level. 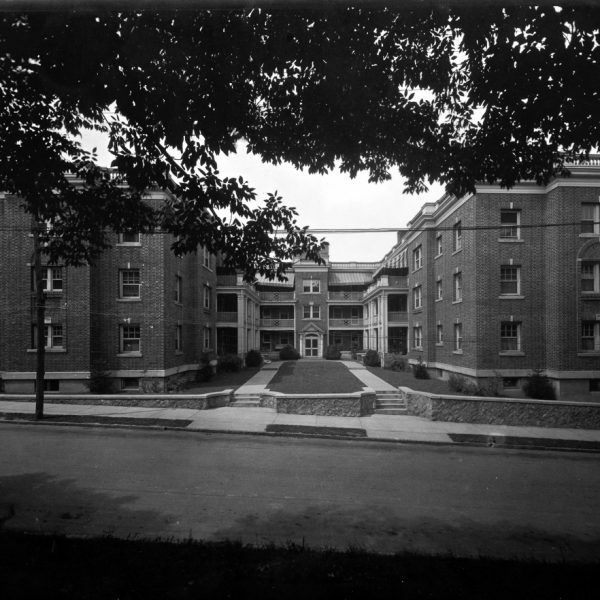 The Carolina Apartments, built in 1918 by the Asheville Apartment Company, was reportedly the first modern apartment house in Asheville and certainly a major departure from the more typical wood frame boarding houses found in the city at that time. 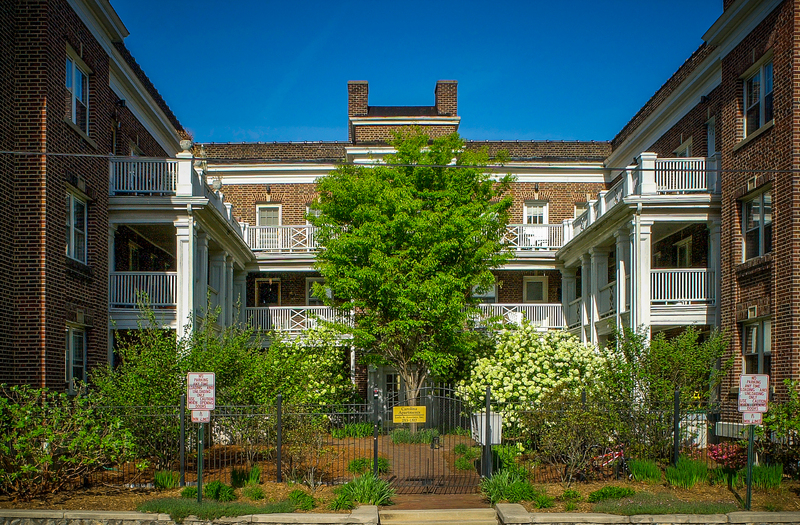 In 1991, the southern wing was largely destroyed by fire and the remaining tenants forced to vacate.Purchased by Public Interest Projects, the south wing was rebuilt and the entire building renovated in 1994. 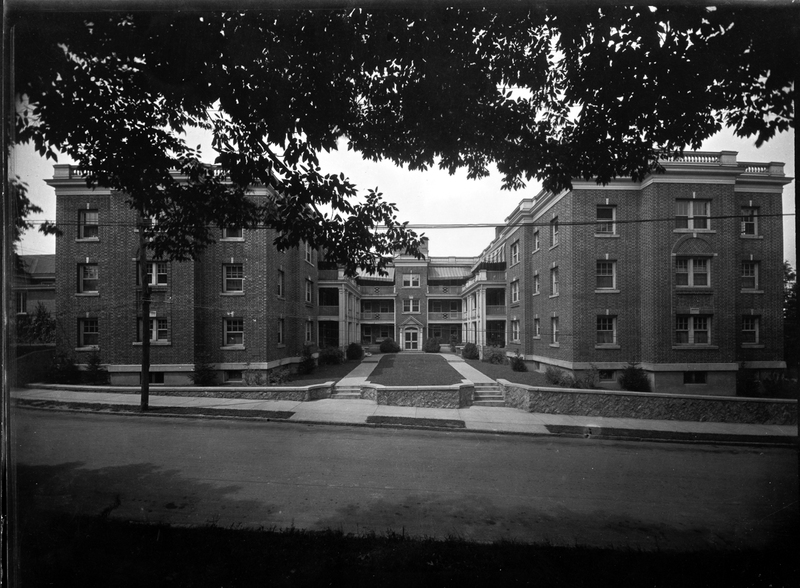 The original 18-unit configuration was changed and the building now consists of 27 residential units enclosing a landscaped courtyard.